FACEBOOK founder Mark Zuckerberg has obtained a restraining order against a man who has allegedly been harassing and threatening him through Facebook and in person, TMZ reported yesterday. Zuckerberg, 26, filed legal papers alleging that 31-year-old Pradeep Manukonda has tried to "follow, surveil and contact Mr. Zuckerberg using language threatening his personal safety," as well as threatening the safety of his girlfriend and sister. "Please help me, then I am ready to die for you. 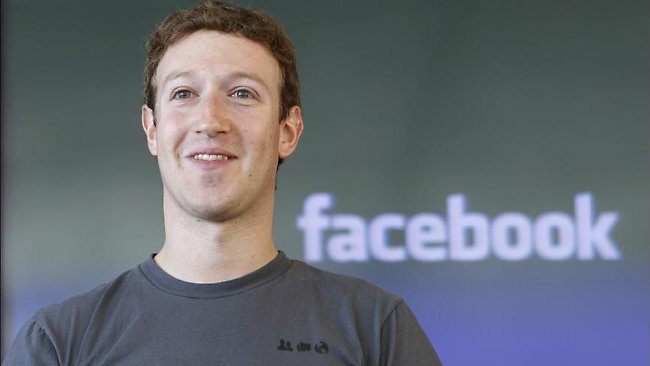 Please understand my pain," read one message from Manukonda to Zuckerberg. Law enforcement sources told the entertainment news website that Manukonda attempted to contact Zuckerberg in person at his home and at Facebook offices in Palo Alto, California, seeking financial assistance for his family. Zuckerberg claimed he also sent flowers and a handwritten letter to his home on January 28. Manukonda has been ordered by a judge to stay at least 300 yards (274 metres) away from Zuckerberg, his sister Randi and his girlfriend Priscilla Chan, pending a hearing later in February. Zuckerberg's Facebook profile was hacked in late January by someone who used his account to complain about the social networking site accepting $450 million in investment money from securities firm Goldman Sachs that month.